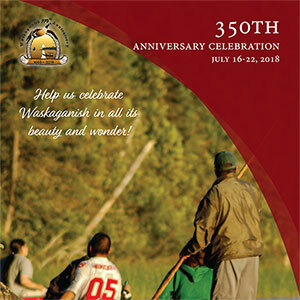 On behalf of the Council of the Cree Nation of Waskaganish, the Elder’s Council and the Youth Council, we would like to welcome you to Waskaganish as we commemorate our 350th year. The third event of this year’s festivities takes place on July 16-22, 2018. Come and enjoy the family activities, games, workshops and demonstrations that are usually done during the summer. In addition to the activities, join us at the entertainment venue where the following musicians will be performing: Blue Rodeo, Kashtin, Kashkun, Melisa Pash and many other performers. Looking forward to seeing you in Waskaganish for the summer event and festivities! God Bless You All!